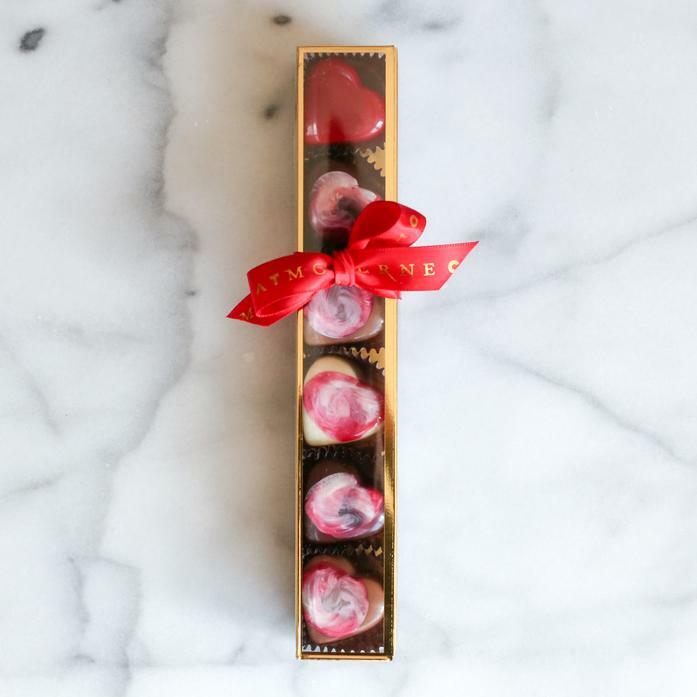 This "Baby Your The One" 6 piece box contains dark, white, and milk chocolate hearts filled with raspberry ganache, passion fruit caramel and salted caramel. One radiant crimson red heart stands out, filled with a dark ganache laced with Hudson Baby Bourbon. Produced in NYC by Chocolat Moderne who uses only the finest chocolate and ingredients with no preservatives. This chocolate is produced in a facility that processes dairy, soy, tree nuts, peanuts, corn, wheat, and/or minimal alcohol.